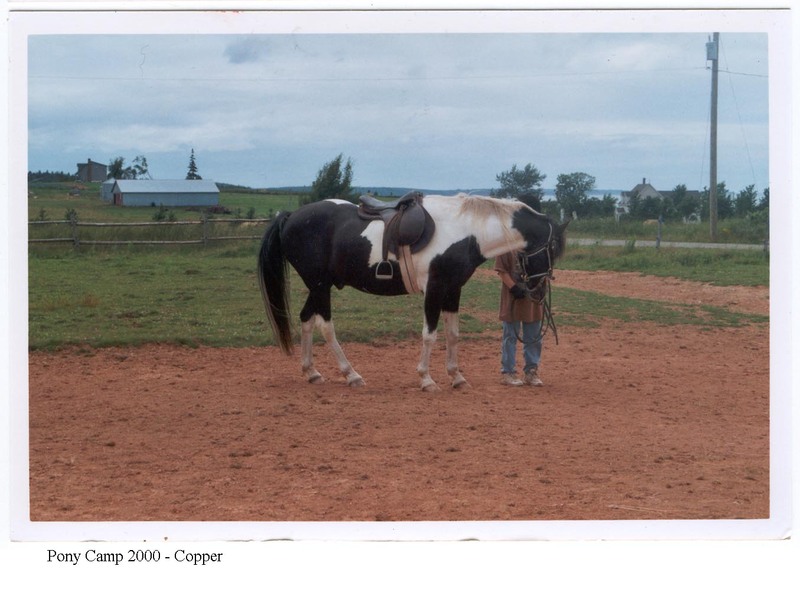 Equine Breathing As An Holistic Training Method – Does It Work? I pay my psycologist with hay and potatoes…, and he stands there, the entire day, everyday, if necessary, listening to me rant and rave. Not once have I heard him whine about how hard his day has been…, LOL! – Me! 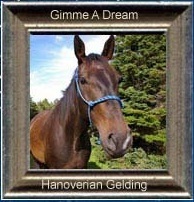 Gimme A Dream is a nervous horse. All his nervous energy goes inside himself and it makes him sick. In most ways, he is a wonderful animal to be around. But when he becomes nervous, he will stand still and shake the weight right off his bones. Last year was a reasonably nervous year for Dream. Even though I owned him for quite a while, it was 2008 before he was moved to the islands. He was uptight about everything, particularly the beach. 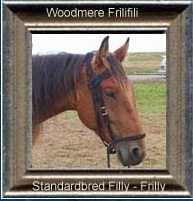 I owned Frilly by this time, but she was young and not on the islands. So I thought I’d buy Willow, who was a rescue, to get both Dream and Frilly, when she arrived, ready for the beach. I thought an older horse would help calm things down. Instead of helping, little Willow put the heels to Dream, splitting an artery in his chest and sending us all into a panic. A month later, I bought baby Sammy (Sam’s Pride) and brought both her and Frilly home at the same time. Dream went spiraling down into a state of nervous depression and we spent our nights walking him because of signs of colic. Sammy was sick, but I didn’t know it. However, Willow knew and didn’t want her around. She passed this nervousness on to Dream, who continued to lose weight and have regular bouts of diarrhea. When Sammy died, Dream knew it. He could smell her death, even though I kept the horses away from the building. He spent weeks reaching his head high into the air, sniffing and he continued to loose weight. I would say, my Dream Boy had the equivalent of a nervous breakdown. Summer came and the horses were put out on to the fresh pasture. Just the change of locations made him nervous and he lost more weight. I made arrangements to send him away, because he wasn’t settling in, even though he was wonderful to ride. 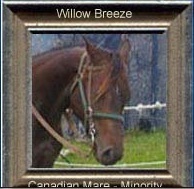 In the end though, I kept him with the mares and myself, thinking another change wouldn’t be good for him. I did a lot of research on the internet and found a sight which brought me to learning how to breathe properly. The site had a link to equine breathing. Of course I had to check it out. 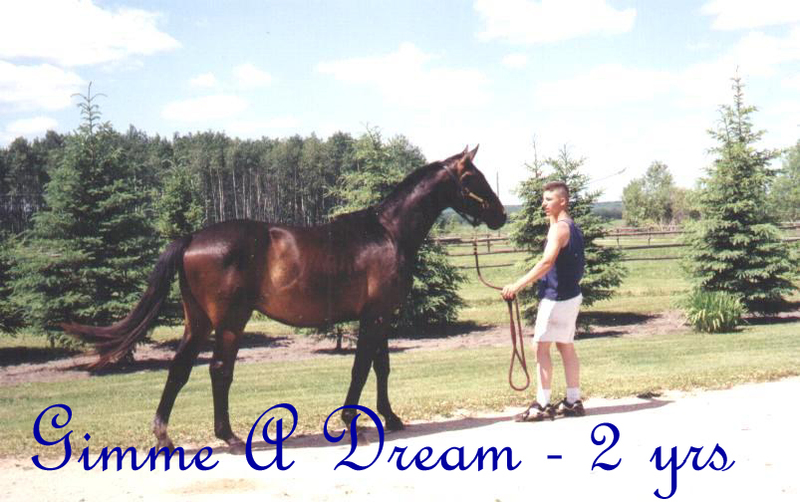 There I found a lot of information on horse behaviour and much of it described my Gimme A Dream. So I studied every word that the site had to say. I watched every video and listened to all the audios, followed all the links. Then I tried the techniques on Dream and you know…, this winter he finally started to gain the weight he had lost. I started very slowly, only placing my hand over his nostril for a couple of seconds. When he chose to stop, I stopped. You know…, I think he gained all the weight back and then some. He has had next to no nervous bouts. I’m certainly pleased! 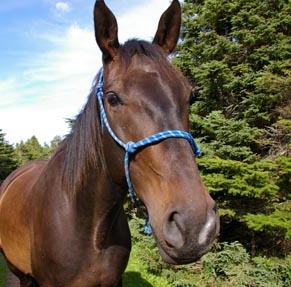 But to answer the question, does the holistic training method for equine breathing, actually work? I don’t know the answer. There are far too many variables to work with, in our environment. Maybe Dream is better because he is a year older. Or, maybe it is because he has had no serious changes in his environment for four months. I’m just thankful that he is not keeping me up at night, anymore. Equine Breathing is an holistic training method that enables you to help your horses in their recovery from chronic ailments and behaviour problems. The idea behind Equine Breathing is that, for many different reasons, some horses start to breathe badly and the biochemical imbalances that arise can result in symptoms and behavioural problems. This idea has its origins in scientific studies of human respiration physiology and while equivalent scientific studies on horses have not yet been carried out trials by interested horse owners support its applicability to horses. 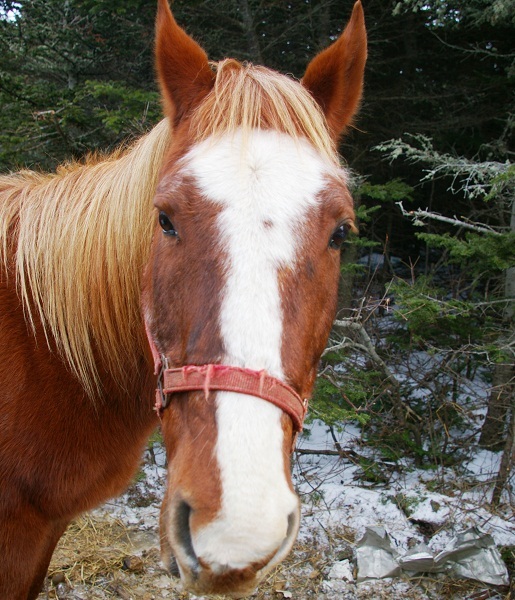 Equine Breathing is a way of reminding and re-training the horse how to breathe correctly. In horses that chronically over breathe, it is thought that carbon dioxide levels fall which can cause cell damage and eventually ill health. Damage caused by low levels of carbon dioxide is reversible. So increasing carbon dioxide levels by re training and correcting the breathing encourages healing, and symptoms can diminish and disappear. Equine Breathing training reduces the amount of air breathed in to a more natural and beneficial level which helps healing. A simple way to reduce air intake is to cover one nostril at a time with your hand. This is called the ‘one nostril’ or 1N technique. 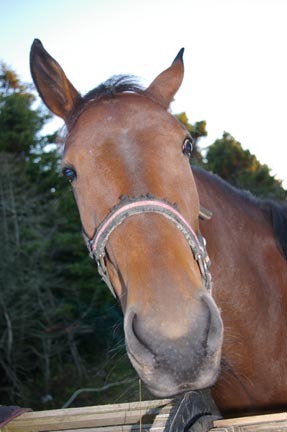 Almost anyone can do one nostril Equine Breathing. * and people find it relaxing and calming. 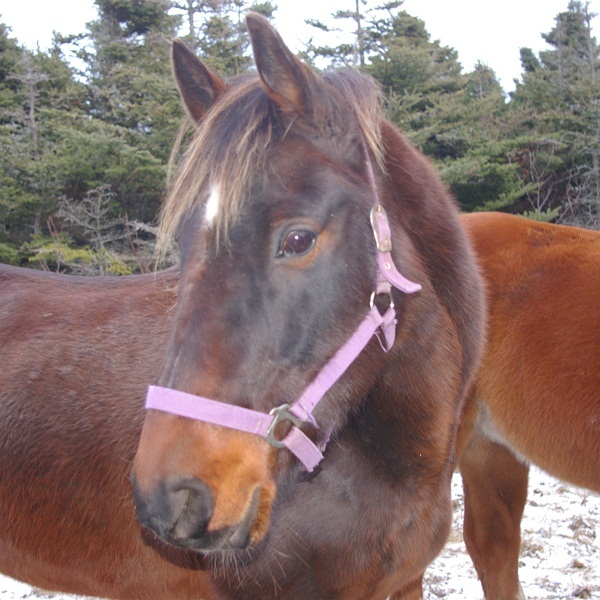 Equine Breathing enables horse owners to help their horses in their recovery from a wide range of chronic conditions, through their own efforts ! However if you have any concerns its wise to ask your vet before starting Equine Breathing so that she/he can advise if its suitable for your horse. While Equine Breathing may reduce the need for ongoing treatment do not change any treatments advised by your vet without first consulting him or her. Necessity is the Mother of Invention – Plato. Not so awful anymore since the really cold snap broke this morning. It was a sunny day and I removed all the blankets from the beasties. I think they appreciated it. A little vitamin D from the sun won’t hurt this time of the year. The record lows have taken me back almost a year, to that sad time my dear young Sammy died. I wrote about it in the first post, here on this weblog. At 5 am, there was a holy ruckus in the greenhouse. I jumped out of bed and Cleigh jumped away from his computer and we both ran for the doors, me for the porch door and Cleigh for the living-room door. When I tried to open the door, the horses were scrambling, stampeding, all three of them to get out of the greenhouse all at the same time through a 40 inch wide door opening. I couldn’t get out for them. In the meantime, Cleigh was having the time of his life getting the living room door open. The door was at the other end of the greenhouse and Sammy was laying down but squished up against the door that opened outwards. The only thing possible was that she fell against the wall and door. The other horses finally got out without tearing the wall off the greenhouse somehow and Cleigh and I were finally able to get out and inspect what had happened. Sammy was quiet but she was laying too close to the foundation and her head was turn up and in toward her body in an uncomfortable looking position, so Cleigh and I grabbed her by the halter and moved her around. Not an easy feat, I can tell you. Sometime later in the day she went into a grand mal seizure. I can’t say the exact time because I was upset. After the seizure, I took her vitals and all was normal except her temperature was about two degrees too low. I called the veterinarian and she told me I had to get the body temperature up. She suggested I allow the horses in to help warm the air but they didn’t like Sammy and I couldn’t let them near her. Their dislike was bad enough that I feared they would purposely trample her. The temperature outside was dropping off fast and with it my filly’s temperature was going too. I had two small heating pads, one used microwave and the other hot water, but they just weren’t enough. We rigged two high powered workshop lamps close to Sammy that gave off a lot of heat and the greenhouse warmed up, but her temperature was still down in spite of two heavy winter horse blankets and lots of hay around her and the ground was warm. I was at my wits end when it came to me. Cleigh like his bottles of Coke Cola and I had about a dozen two-liter empty bottles. I wasn’t long filling them with hot water from the tap. I literally wrapped Sammy in hot water. I wrapped each individual bottle with a towel and placed them around her body, under the winter blankets. The reason why I’m writing this is that the hot water bottles worked and brought her temperature back to normal. I guess it doesn’t matter that she died less then twenty-four hours later. The fact remains that the bottles did what I wanted them to do, and if anyone reading this finds that their horse or any living creature is cold, put a plastic bottle of hot water near them, making certain not to scald the skin.